The Bellagio Hotel Las Vegas mixes the Italian elegance with exquisite accommodations that make this property one that will heighten your vacation. This 3,000 plus room and 500 plus suite property offers luxury that can only be found in an upper end complex. The four pools offer tremendous space to soak up the sun. The dining options include fountain view tables at several different restaurants such as PRIME Steakhouse, Todd English’s Olives and you can indulge in the tasty dessert creations of famed pastry chef Jean-Philippe. The attractions are spectacular with the Fountains of Bellagio, the Conservatory and Botanical Gardens as well as several art galleries. 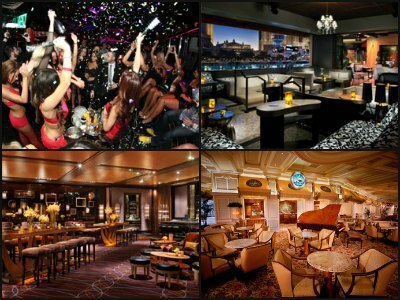 The beautiful décor and VIP services are second to no other complex on the Strip. 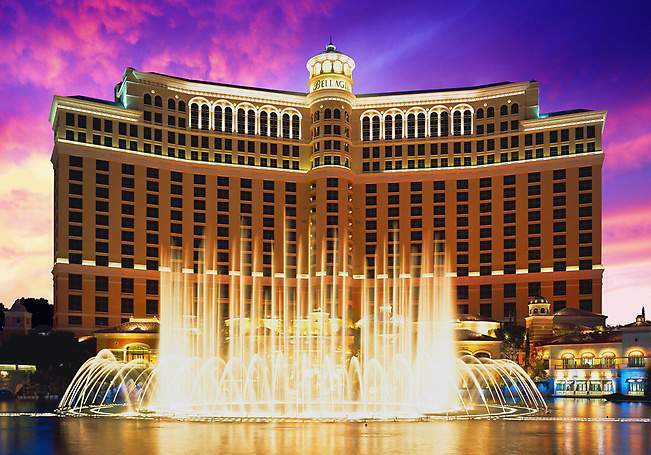 The Bellagio Hotel Las Vegas is an excellent choice when indulgence is a key factor. Accommodations at the Bellagio Hotel Las Vegas are furnished with luxury amenities which can only be found at this complex. There are several classic room options that are all around 510 square feet with various views of the complex including the famed Fountains of Bellagio. Each of these rooms offer luxurious updated décor, an iHome entertainment system, premier linens, a small sitting area and a bathroom with a dual sink vanity as well as a soaking tub with separate shower. The Resort rooms are scattered throughout the property on the lower level floors; Fountain View rooms are located in the Spa Tower on the 15th-26th floors; the Deluxe Fountain View rooms are located in the North and South Towers between floors 9-28; the Premier Fountain View rooms are situated on the upper level floors located in the North and South Towers. The Resort Tower rooms are slightly larger at 626 square feet and offer an enlarged sitting area as well as bathroom space. The Bellagio Hotel Las Vegas also boasts some of the finest suites on the Strip with superb amenities and VIP service. Suites at the complex range in size from 853 to over 4,000 square feet with a range of floorplans and various views of the Fountains of Bellagio as well as entrance to the exclusive Chairman’s Lounge. The smallest is the Salon Suite offering a sitting area with sofa, an iHome entertainment system and a bathroom with a wardrobe closet, dual sink vanity and a soaking tub with a walk-in shower. The Bellagio Suite, at 1,000 square feet, sports a separate living area with a small dining table and a half bathroom. The bedroom has a sitting area and a master bathroom that includes a foyer as well as his and hers bath space. The Cypress Suite comes in at 1,500 square feet and has very unique half-circle floorplan that includes a nice foyer, living area with a sofa, dining space and bedroom. The center is flanked by two different bathrooms that include a soaking tub in hers and a walk-in shower for him. The Tower Suites have more of a traditional layout with a large open area that includes a living room, dining area, wet bar and a half bath. The separate bedroom has a small sitting area and the master bathroom contains a large soaking tub, dual sink vanity, wardrobe closet and an over-sized shower.Penthouse Suites range from 1,500 to 2,300 square feet depending on the one or two bedroom suite. There is also an option of adding an additional room for sleeping on all Penthouse Suites. The open floorplan consists of a dining and living area with a wet bar and a half bath. The master bedroom has connecting his and hers bathrooms that are perfect. The Executive Suites offer a large L-shaped floorplan that is space with a wet bar, living room, dining area, a half bathroom and an executive style meeting room at the Bellagio Hotel Las Vegas. The separate bedroom has a sectional sofa seating area that includes a master bathroom that has dual sink vanity, a soaking tub and an over-sized shower. The Executive Parlor Suite has a similar L-shaped floorplan and 2,500 square feet of luxury. The living area is larger with a small dining room and there is an entertainment area that includes a billiards table. Lake View Suites are somewhat smaller at 2,000 square feet with a spacious living area, a wet bar, a half bathroom, and separate dining space. The Grand Lake View Suite is massive at 3,000 square feet. This two bedroom suite has a half-circle floorplan with a large open living area with a wet bar, entertainment area, dining room and a half bathroom. Each bedroom has his and hers bathrooms and a small sitting space. The Presidential Suite at 4,000 square feet has two bedrooms and even more amenities. There is a separate living room, separate dining area, a conference room, wet bar and a half bathroom. Each bedroom has a large separate sitting area with his and her bathroom. The Chairman Suite is identical to the Presidential Suite. Cirque du Soleil takes an aquatic approach in their performance of “O” at the Bellagio Hotel Las Vegas. “O” incorporates the world renowned acrobats of Cirque du Soleil and has intertwined a wonderful sequence of divers as well as synchronized swimmers to craft an incredible above and below the water performance. The choreography of “O” is one for the ages and the exquisite setting within the intimate theater will leave you thinking you are in a European opera house. The Bellagio Hotel Las Vegas has some of the city's premier bars and nightlife. There are several bars located throughout the casino and five superb lounges to enjoy the non-stop nightlife. The most prominent of the nightclubs with a décor of wood, metal and neon lights is the Bank where bottle as well as VIP service reign; The Hyde is a luxurious space that has an Italian villa décor and intimate feeling; at Lily’s Bar and Lounge patrons can enjoy watching their favorite sporting teams as well as dance to top rated music played by DJ’s; afternoon tea is featured at the opulent Petrossian Bar which changes to a classic piano bar in the evening; signature martinis are available at the Baccarat Bar which overlooks the high-limit gaming area; the Sports Lounge offers a quick get away from the action while you are in the race and sports book and the Pool Bar is perfect for a custom frozen drink. The casino area at the Bellagio Hotel Las Vegas is 116,000 square feet of excitement and non-stop fun. 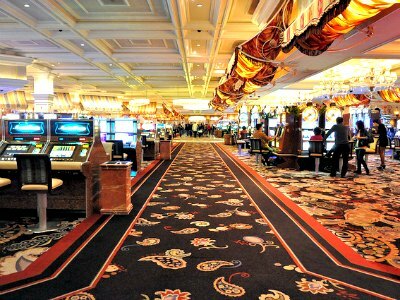 People can choose to play keno, craps, roulette, blackjack or perhaps one of thousands of slot machines. There is also Caribbean stud poker, baccarat and a poker room with 40 tables. Bobby’s Room is a great high limit area that offers 24 hour tableside dining. The race and sports book is big with a men’s club feel in décor. There is plenty of space for you to watch all of your favorite sporting events and this race book actually covers 25 different race tracks daily. Photo By Alexis Fam on Flickr. The dining scene at the Bellagio Hotel Las Vegas is geared toward every facet of cuisine. There are also four restaurants that overlook the Fountains which include fine French and Spanish cuisine at the Picasso or enjoy a perfectly marbled steak at PRIME Steakhouse or Mediterranean cuisine at Todd English’s Olives or perhaps enjoy the finest in Japanese dining at the Yellowtail Japanese Restaurant. 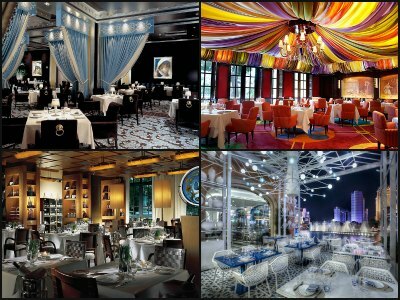 Other fine dining options exist at the Bellagio like Le Cirque which has won several AAA Five Diamond awards; Michael Mina is the perfect spot for innovative seafood and Jasmine will satisfy your hunger for Nouvelle Hong Kong style dishes that are a mix of classic Chinese cuisine. Casual dining experiences can be enjoyed at FIX which specializes in classic American fare, Lago offers unique Italian dishes, Noodles puts a new twist on Asian cuisine and acclaimed Chef Roy Ellamar brings his talents to the table at the Harvest. A patron can also enjoy a quick sandwich at Snacks located near the race and sports book to a fantastic pastry at Palio or an Italian ice cream at Gelato Café. Casual dining includes the 24 hour Café Bellagio, The Buffet and the Pool Café where you can indulge in unique poolside cuisine. 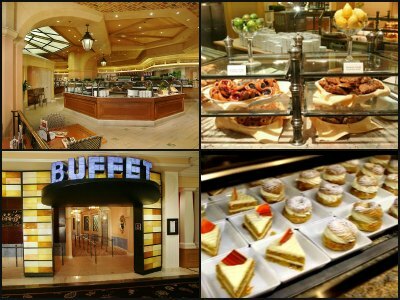 The Buffet at the Bellagio Hotel Las Vegas will remind you of fine dining as opposed to buffet dining. Buffet Bellagio offers excellent fresh cuisine three times a day with several upgrade options. Enjoy new innovative serving stations that include favorites from Italy, China, Japan and the America’s. One of the most unique buffet dining ideas exists with upgrading to the Chef’s Table for dinner where you will enjoy exclusive dishes prepared by expertly trained chefs. There is also an incredible champagne brunch on the weekends that will rejuvenate your soul after a long weekend night of fun on the Strip. The pool area at the Bellagio Hotel Las Vegas contains five distinct pools and four hot tubs for your enjoyment. The lush gardens that surround these facilities are simply gorgeous. Poolside cabanas and Cypress Premier lounges/daybeds that include VIP services as well as amenities are available for rental. The Pool Café and Pool Bar will satisfy your hunger and thirst as you soak in the sun at one of the finest pool complexes in Las Vegas. The gallery in the “O” Theater lobby at the Bellagio Hotel Las Vegas has one of the more interesting art exhibits in Las Vegas. 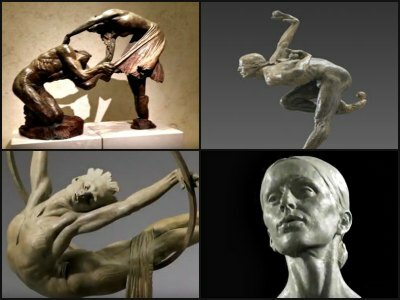 Richard MacDonald has used his insights to Cirque de Soleil and his exquisite eye for detail to create 50 different bronze sculptures. These sculptures capture the incredible movement and body tones of an acrobat, contortionist as well as a dancer that perform with Cirque du Soleil. MacDonald has crafted pieces that will make the visitor wonder if humans are capable of these different body positions or if they are just an illusion. The Conservatory and Botanical Gardens at the Bellagio Hotel Las Vegas are a must see for many reasons. This attraction offers a tremendous amount of exotic plant life for a person to view and each area has a unique theme. The overall area changes themes and plants seasonally to assure a different experience each time for the guest. The spectacular mixture of fine art and flowers is truly an once-in-a-lifetime walk in nature. 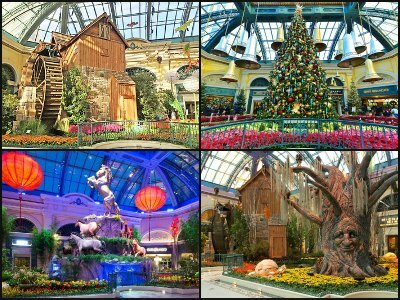 The Conservatory and Botanical Garden at the Bellagio is open 24 hours a day and is free. The famed Fountains of Bellagio Hotel Las Vegas have been a favorite free attraction for many visitors to Sin City. The fountains burst of water are choreographed to music and lights to enhance the entertainment value of the experience. 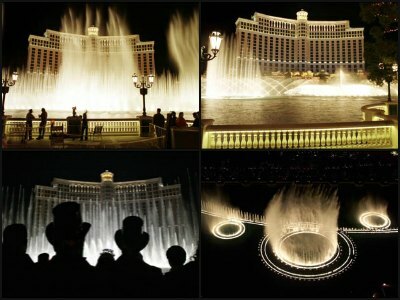 The Fountains of Bellagio change frequently allowing for a different event or theme over time. These fountains are spectacular and will surely heighten all of your senses. The Bellagio Hotel Las Vegas Gallery of Fine Art offers a variety of art exhibits that change semi-yearly. 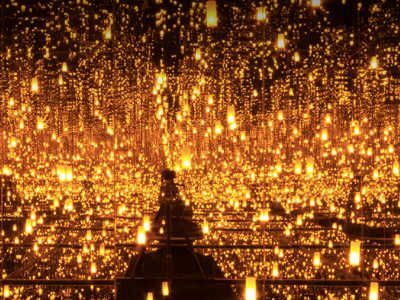 This incredible space has held exhibits from such famed artists as Picasso, Andy Warhol and Monet. The space is inviting and changed to accommodate each exhibit in such a way that the art becomes personal with the visitor. There is a moderate entrance fee based on the artist and the exhibit. The Bellagio Hotel Las Vegas has several unique choices for that special wedding day. There are two chapels (South and East) within the property which can hold up to 30 or 130 guests. The complex also offers several other areas for wedding such as the Terrazza or the Fountain Courtyard. 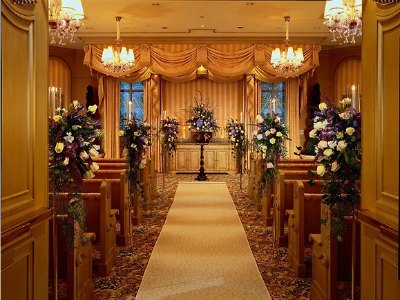 The Bellagio has expert wedding consultants that will help you through all of the important decisions of your special day. Special packages as well as seasonal packages lets you and your wedding expert concentrate on the finer details yu wish to remember from your special day. The Spa at Bellagio Hotel Las Vegas is the perfect retreat from the world when you need to recharge your body and spirit. This 65,000 square foot spa is loaded with amenities for both men and women in their respected space. Each area includes private dressing rooms, cold plunges, hot tubes, vanity areas, steam rooms and a unique spray-on tan area as well as a mud bath area. There are also 56 private massage rooms where you can experience the luxury of a Bellagio Signature Stone Massage or perhaps a world famous Ashiatsu Oriental Bar Therapy. Other packages like the Desert Detox offers a 50-minute massage, thermal seaweed body wrap and a pedicure. 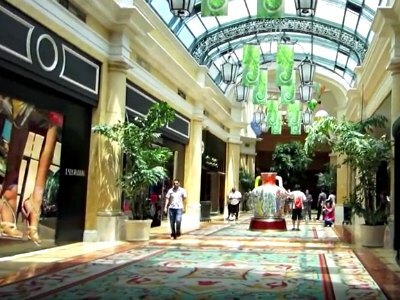 World class shops can be found within the Bellagio Hotel Las Vegas at Via Bellagio, the Lobby and the Promenade Shops. Via Bellagio is a corridor of luxury brands such as Dior, Giorgio Armani, Prada, Chanel, Gucci and Louis Vuitton which all have stores of their merchandise. You can also browse fine jewelry at Harry Winston and at Tiffany’s as well as expertly made watches at Breguet. There are also several shops at the Promenade which include Platino for men’s fashion, Capri for relaxed attire, La Scarpa has trendy shoes, Tutto is a shop that is full of eclectic accessories and the Jeff Mitchum Gallery features fine art photographs from world renowned. There is also more fine art offered at the Art of Richard MacDonald and at Chihuly which feature the art of Dale Chilhuly. There are also several souvenir shops in the lobby area that sell memorable from the Bellagio as well as items of essential.